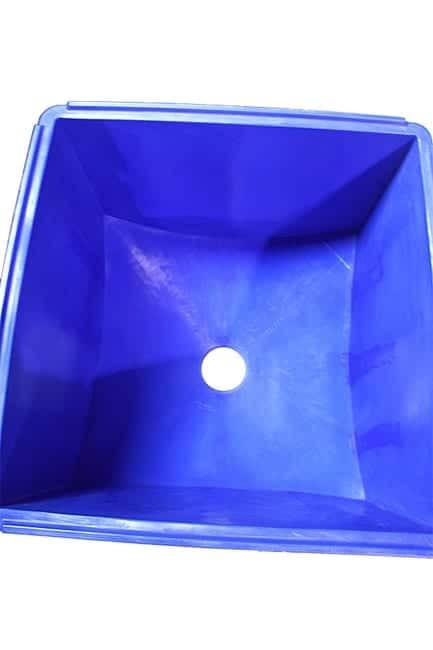 Plastic hopper bins are extremely popular in areas of processing products in bulk such as: nuts, grains, seeds, resins etc. 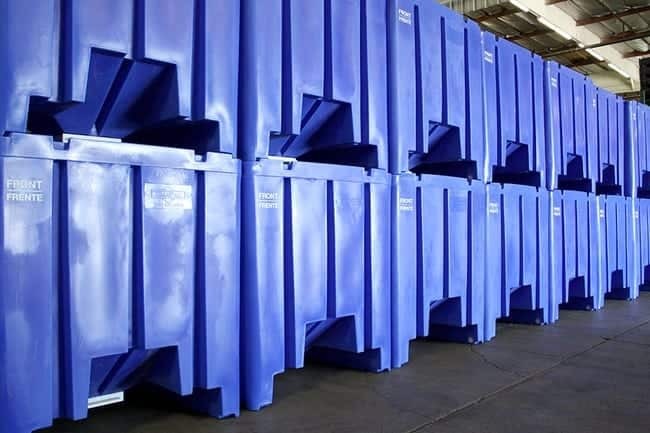 They are reusable and designed to be stacked and lifted by a forklift. 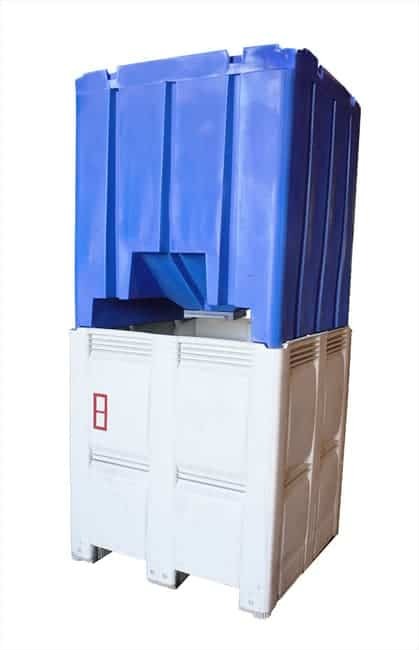 Plastic hopper bins have been recognized for their durability and ease of sanitation. 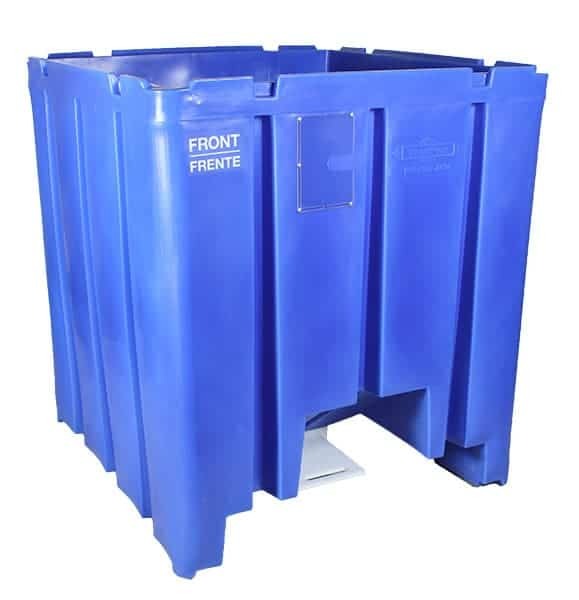 TranPak's latest hopper bin is one of the toughest and largest plastic hopper bins on the market. The Cyclone has very thick, smooth walls for impact strength and easy cleaning.